Continuity of traditional methods, award winning workmanship, and a history of quality restoration of brick and masonry work is our recipe for success. Bricklaying has been a family trade for five generations, and has allowed us to learn the traditional skills directly. It is the authenticity of this trade that has proven most effective in both conserving the historical fabric of masonry constructions, and in producing results of durability. We specialise in all forms of pointing, and pride ourselves on the quality of our work. Our types of pointing include cut & struck, weathered joint, tuck point, tuck joint, racked joint, round joint, and v joint. We use original tools and products in our work, including traditional lime putty mixes for mortars. With a strong work ethic and commitment to our trade, our restorations result in exceptional client satisfaction. Our clients have varying needs, and it is important to us that we produce results our clients are happy with. We will meet with you and discuss what we can do to ensure you are 100 % satisfied with our restoration efforts. Restoration is often about conserving the historical fabric of brick and masonry works, which is what we, too, are about. A love of historical fibre and old buildings is what drives us in our restoration of masonry structures. We use traditional hand tools, and power tools if approved. We also put in our best efforts to source bricks that will match those of the original structure, even if they date back to the 1800s. Family history: With the trade for bricklaying dating back at least 5 generations in our family, it's no wonder we take pride in our business. Anton Wilhelm: Possibly the first generation of bricklaying in the family. Anton was a dedicated architect and bricklayer. 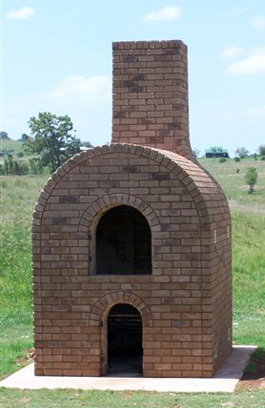 Wilhelm Anton: Arriving in Australia at 20 years old, Wilhelm was a qualified bricklayer and oven builder. It was said that he was the best bricklayer in Queensland. Anthony William: Was also a bricklayer who spent some time working at the RNA showgrounds, Brisbane. He took on his son, Maurice, as an apprentice at 15 years old, and taught him the tricks of the trade, including pointing. Maurice Potrzeba: The name 'Potrzeba' is quite fitting in meaning. In the time of castles, this name meant 'need,' and if someone needed something, they would come and see the Potrzeba family. Maurice is the owner of this brick restoration business, and will always deliver what his clients need. He has years of experience in the trade. Maurice's father, Anthony, built a Cathedral in Hatton Vale in the 1950s, which Maurice himself has worked on restoring in recent years. Anthony Potrzeba: Maurice's first son, Anthony helps his father's business out on occasion. Although following a different career path, Anthony also has a natural talent for repointing. Aleksandr Potrzeba:At the age of 16, Maurice's second son, Aleksandr, was taught stonemasonry for two and a half years at Brisbane's Saint Johns Cathedral (including work on the only stone masonry vaulted ceiling in the southern hemisphere). At the age of 19 he began his bricklaying apprenticeship with his father. With the trade for bricklaying dating back at least 5 generations in our family, it's no wonder we take pride in our business.